The celtic dangle measures 36mm x 10mm, with a band of clear crystals running down the centre. 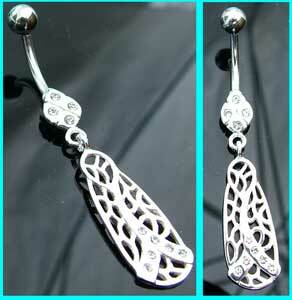 These belly button bars are also available with 316L surgical steel stems. The best eCommerce software by ShopFactory powers P12427. All-in one eCommerce and shopping cart software.